It is with great sadness that we share with our credit union community that our ILWU Credit Union Board Member, colleague and friend, Lewis Wright, passed away on Tuesday, March 26, 2019. 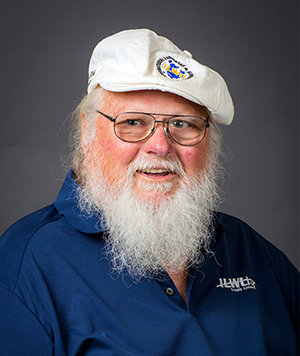 Lewis has been a member of ILWU Credit Union for 39 years and has served on the ILWU Credit Union Board of Directors for 32 years. He has been an active and retired member of the ILWU for over 40 years. Lewis was an active retiree, a former member of Locals 13 and 63, bilingual consultant to the ILWU on Latin American issues, a legislative aide to the ILWU District Council, coordinator for the United Farm Workers Union and was on the State Board of Common Cause. He served on the Board of the Harry Bridges Institute, the California Congress of Seniors, and the Diane Middleton Foundation. Lewis graduated from San Pedro High, attended college locally and at Southern Oregon State where he graduated as a CORO Fellow in Public Affairs. Lewis was an extremely active and dedicated volunteer taking photos at many ILWU events and contributing articles to the Dispatcher. He was a vocal advocate for the credit union cause, the ILWU, and the labor movement. Lewis was also a dedicated family man who was warm, friendly and had a great sense of humor. Lewis’ dedication and commitment to the Credit Union and our members has been a vital part of our growth and success. We are thankful for the opportunity we had to know and work with Lewis. He was a respected leader. We were honored and privileged to have his leadership and service help guide us for so many years. He will be dearly missed and fondly remembered. We’d like to extend our sincere condolences to Lewis’s family. Thank you for sharing Lewis with the ILWU Credit Union family for so many years. Our thoughts and prayers are with you all. Goodbye, Brother Lewis. Rest in Eternal Peace.